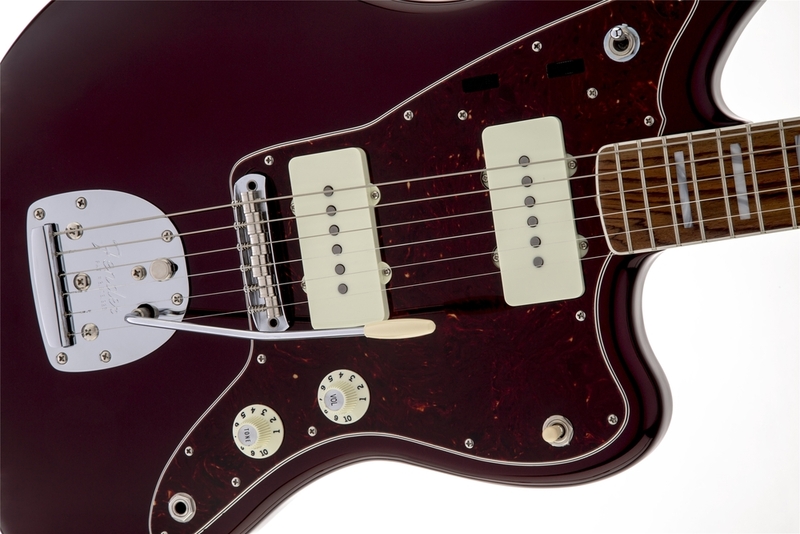 Van Leeuwen's signature Jazzmaster model comes with the authentic mid-'60s touch of a rosewood fingerboard with elegant white binding and block inlays. 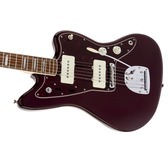 The Troy Van Leeuwen Jazzmaster is especially notable for its darkly alluring "Oxblood" finish, which looks almost black until the light catches it just right and reveals its true deep, dark red hue. 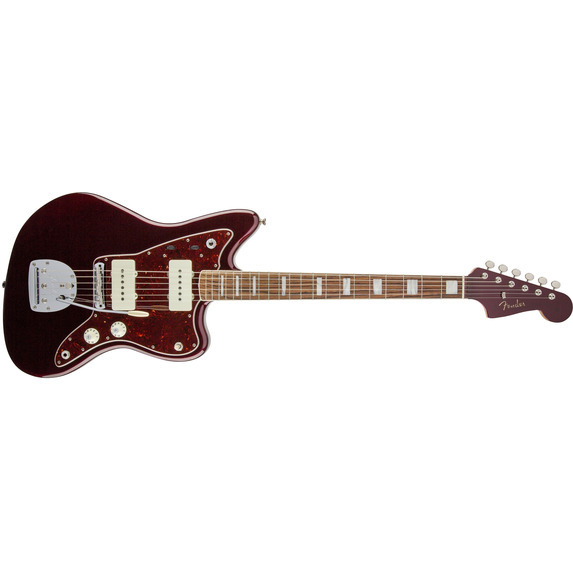 In addition to its other highly distinctive features, the Troy Van Leeuwen Jazzmaster features a matching Oxblood headstock. 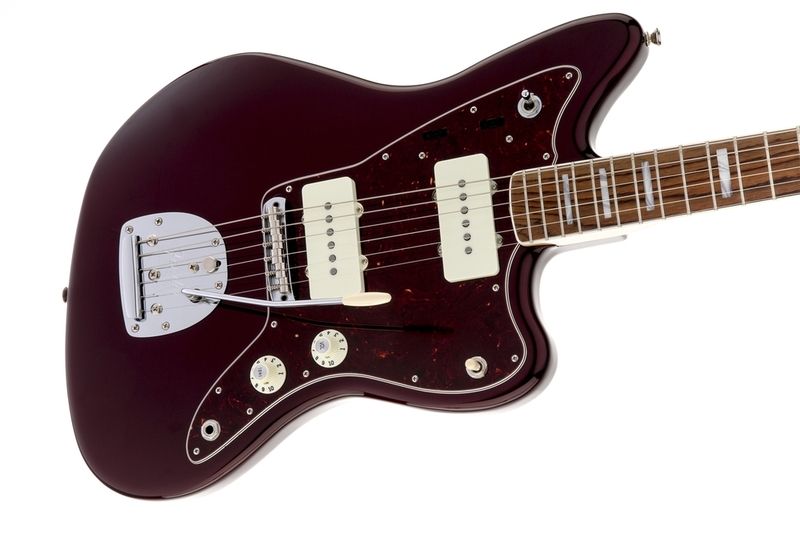 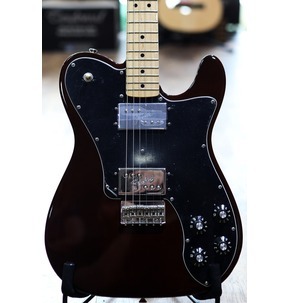 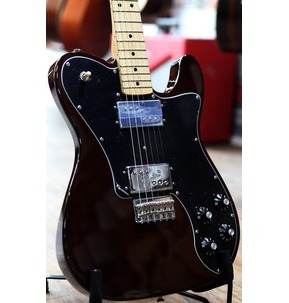 Troy Van Leeuwen's signature model gets its phenomenal sound by borrowing a full-voiced pair of '65 Jazzmaster single-coil pickups from Fender's American Vintage series. 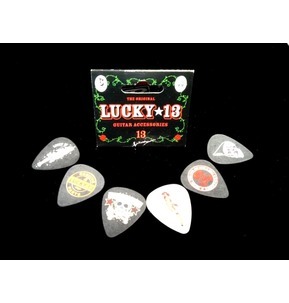 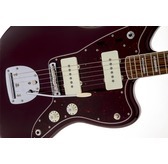 As specified by Troy Van Leeuwen himself, the Jazzmaster bridge on his signature model is designed with chrome-plated brass Mustang saddles. 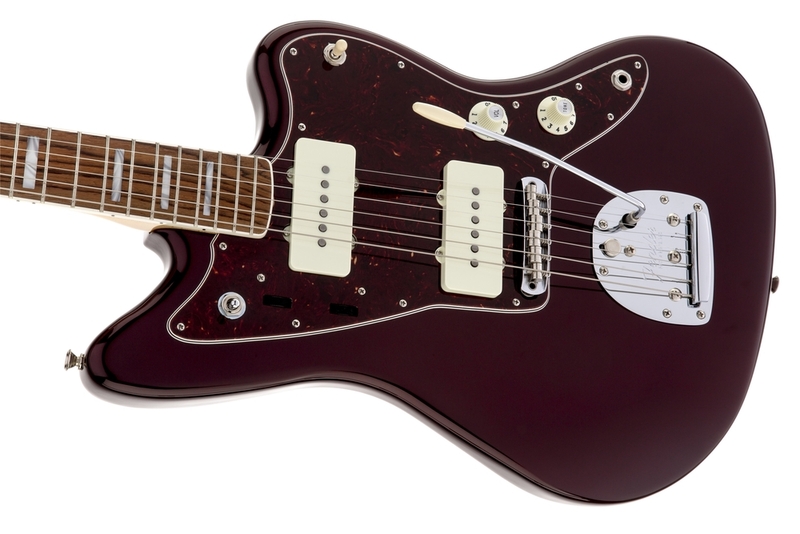 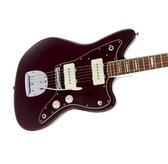 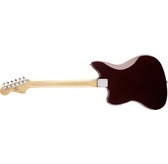 Rather than the traditional Jazzmaster lead/rhythm circuit slide switch on the upper horn, the Troy Van Leeuwen Jazzmaster uses a chrome toggle switch instead.